Catherine Pooler Ink Colors Aquatini, Flirty Fucia, and Grass Skirt. I was happy to receive these fun new clear stamps from Spellbinders and love that I can share these pretty creations that were inspired by these stamps and this beautiful Spellbinders Dream Catcher die. 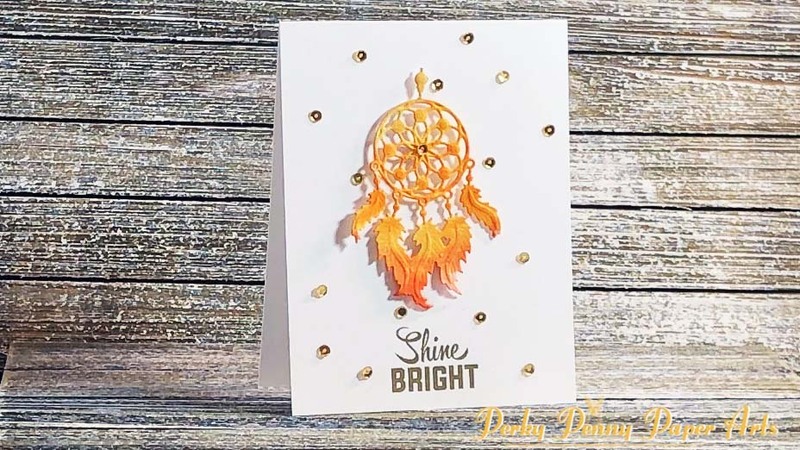 The sentiments all came from the Spellbinders Captured Sentiments Stamp Set and the beautiful gold feather came from the Just For You Clear Stamps set.